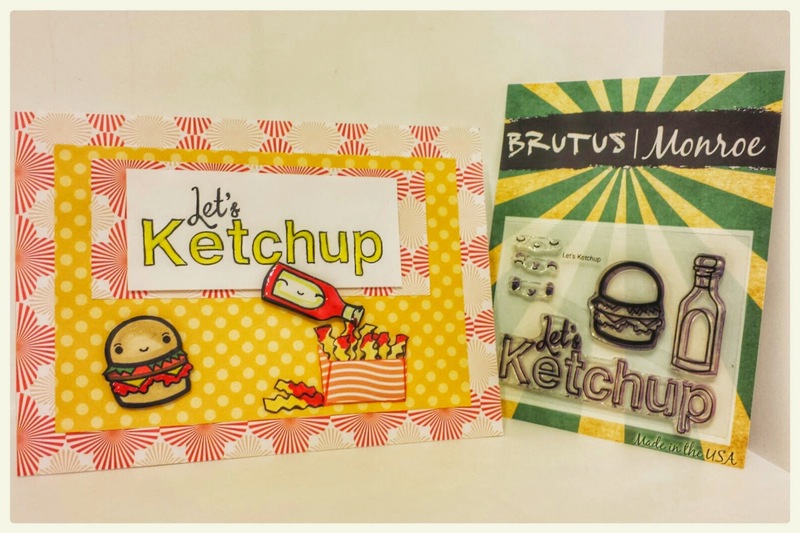 Let's Ketchup Card and New Brutus Monroe Stamps I got. 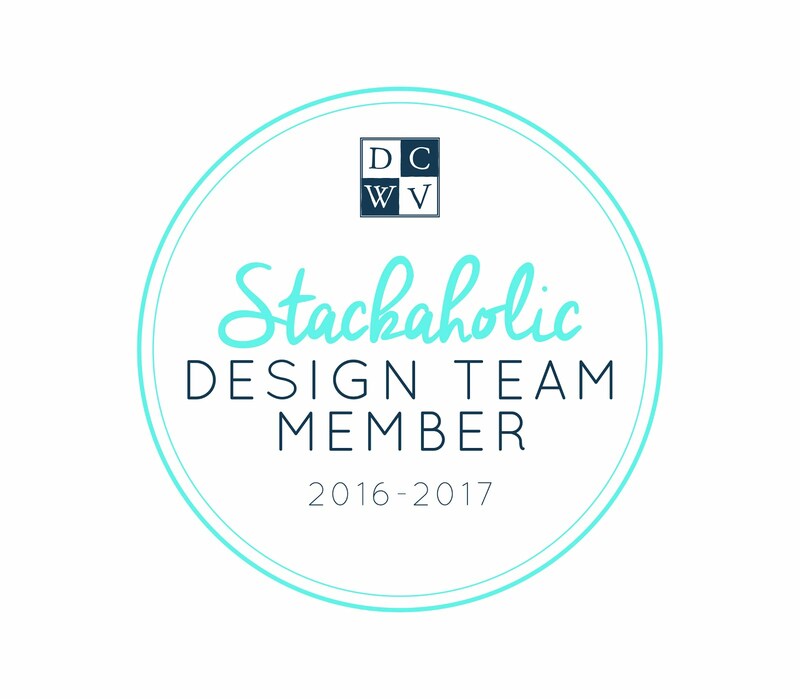 I ordered three more stamp sets. Aren't they just too cute. Alphabet Soup, Love and My Favorite Let's Ketchup. I will post some projects every couple days using these stamps sets. But to start things off, Let's Ketchup ....of course! 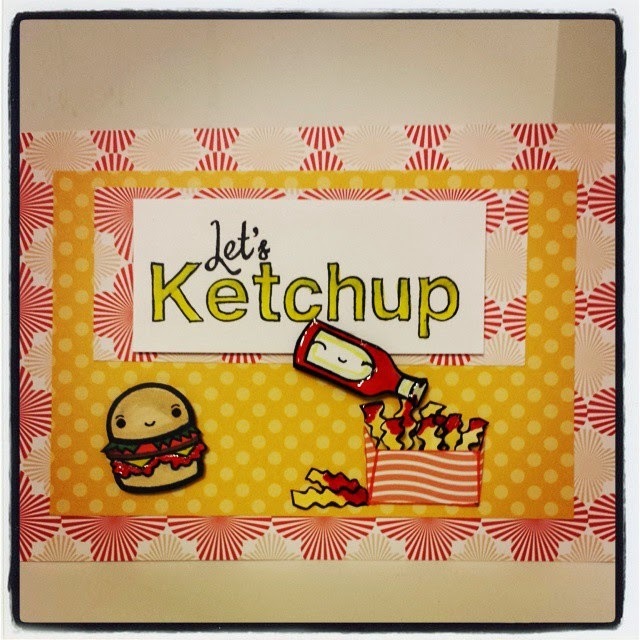 So I used the Brutus Monroe Stamp set Let's Ketchup and Craft Smith Paper Pad Flutterbloom. 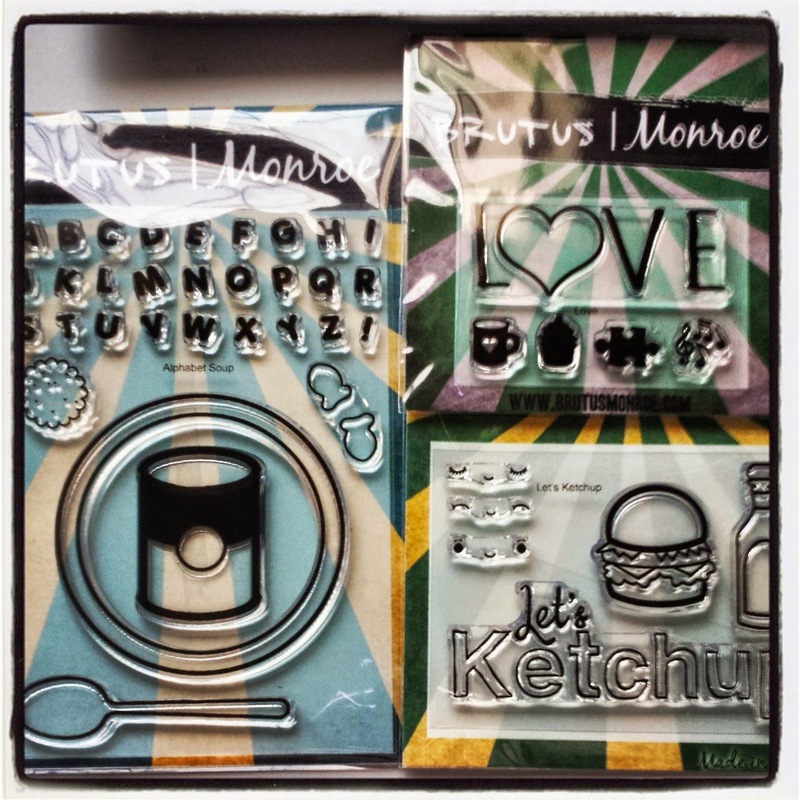 You can get the stamp set from Brutus Monroe Site directly. You can still get the Craft Smith Paper pad as a Hot Buy from Michaels. It's only $5.00 till April 17th, 2015. I know short notice. So hurry in to Michaels. Little Close up of the Ketchup Bottle I covered in glossy Accents. I made the fries by drawing out each little individual fry and making the little basket/box thingy. 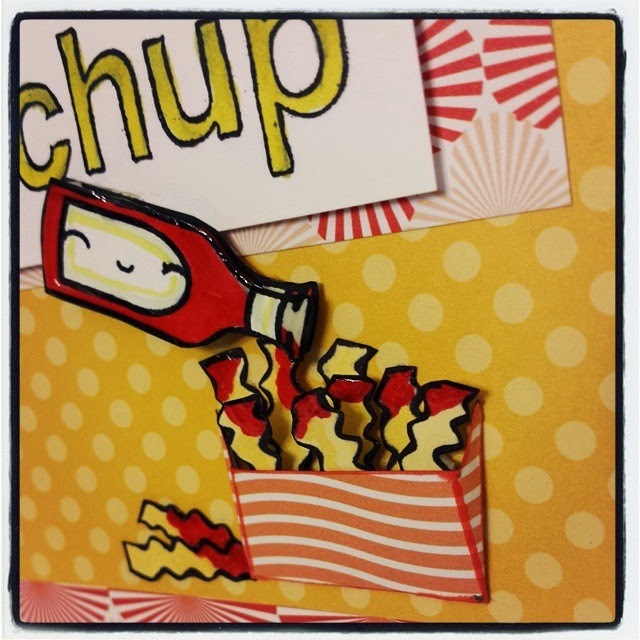 I pop dotted and glued in layers to make the fries pop up. Don't you just love the little faces. They are interchangeable! How cool is that. All pieces are colored with Copics.